About: Local family-owned grocery store serving the community for over 80 years – offers many vegan products. 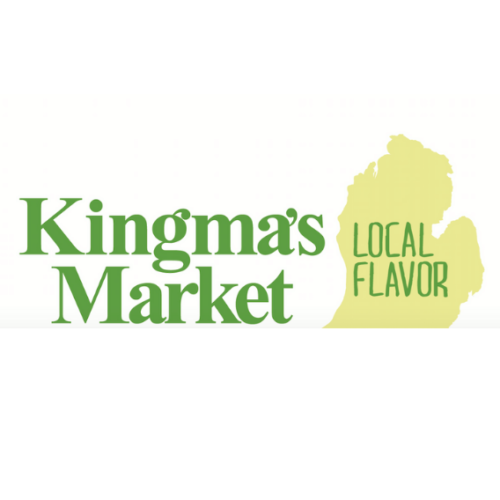 There are two Kingma’s Market locations in West Michigan. Our guide only covers the Plainfield location. The other location, in Ada, carries many of the same products and is also a great place to shop. 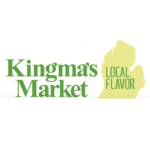 Kingma’s has been part of the Grand Rapids community for more than 80(!) years. After other area locations closed over the years, the Plainfield store in the Creston neighborhood was the only store remaining. After a change in ownership, changes took place at Kingma’s and many of them benefitted plant-based shoppers. Owner Alan Hartline has brought in items from many local and statewide producers of vegan items. The Brinery – The Brinery based in Ann Arbor specializes in fermented foods. Kingma’s carries the sauerkraut. Veggie burgers – You can find veggie burgers from Qrunch and the Redheads, both in the frozen food section. Nutcase Vegan Meats – Made in Grand Rapids, Nutcase focuses on “creating flavorful products to make eating vegan a great experience for all.” Some a preformed patties and others come so you can make it your way. Nutty burgers and breakfast sausage, hot Italian sausage, chorizo, and sweet Italian sausage. All the products can be found in the freezer section. Earth Balance – Both tubs and sticks of butter. El Cardenal – Kingma’s carries asparagus tamales made in Hart, Michigan using Michigan asparagus as well as the El Cardenal salsa. Field Roast – A large selection of Field Roast products. Vegan Magic – this unique smoky coconut based cooking oil is very good, and Kingma’s is the only place carrying it in the entire state. These are the items we’ve seen for sale recently at Kingma’s Plainfield location. We do our best to keep it up to date, but it’s possible that items available have changed since our last visit. If you are looking for something specific it’s always best to call ahead.